Metallic paint in bronze, silver or gold in various sizes. 65ml is easily enough to paint a belly or body cast. 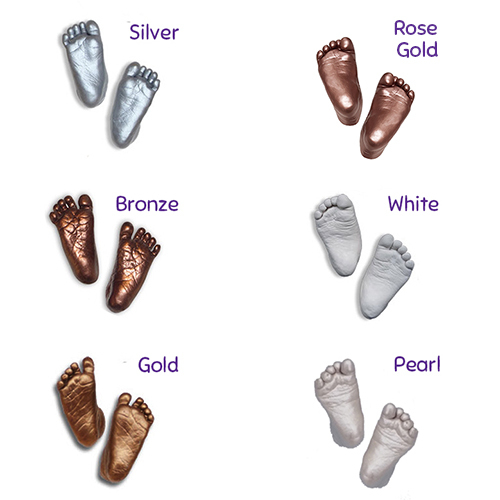 Our low-odour, water-based acrylic metallic paint gives a very reallistic metallic finish to your baby casts. 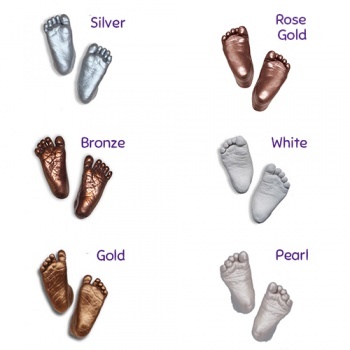 Choose from metallic silver, rose gold, bronnze, gold, pearl white or classic white. We also offer non-metallic white paint. 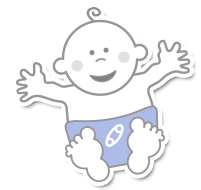 Supplied in a resealable 10ml, 65ml or 250ml bottle. 65ml is easily enough to paint a belly cast or adult body cast.